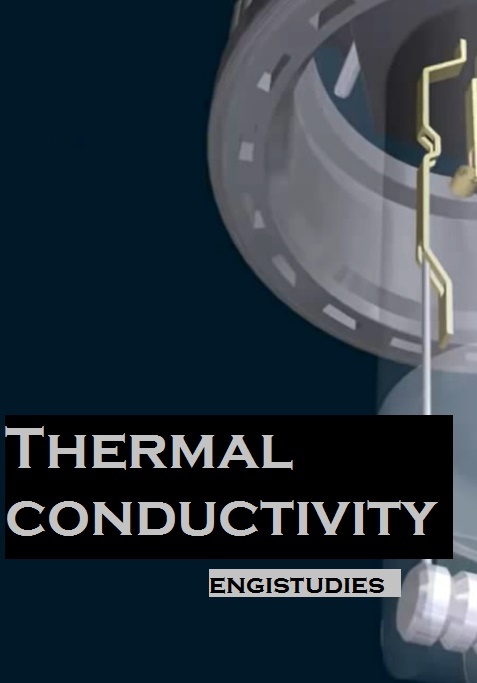 Thermal conductivity is usually denoted as 'k'. It is a property of a material which shows the total value of heat conducted per unit area of the wall per unit temperature in unit time. The value depends on directions. Thus, the thermal conductivity of a metal may differ from one direction to other. What is the difference between thermal conductance and thermal conductivity? We now know what is the thermal conductivity of metals. It is basically a property of a material. Thermal conductance is the resistance offered by the material to the flow of heat. where q is heat flow rate, L is the thickness and T is the temperature in Kelvin. It has the same value as (k/L). Thermal conductivity is measured in watts per square meter of surface area for a temperature gradient of 1 K per unit thickness. With expanding thickness, dampness, and temperature the conductivity increments as well. We can measure thermal conductivity in many ways. We can shop online for such thermal conductivity measuring equipment. The methods can be broadly divided into two types viz. steady state and transient. The temperature is kept constant when applying steady-state methods. It takes too much time and requires costly setup. While in non-steady-state the temperature is raised continuously. Find the thermal conductivity through a conductor when 20,000 W of heat flows through it. The temperature gradient = 40 K.
Heat flow Q = 20,000 W, length L = 5 m, Area A = 13 sq.m, Δ T = 40 K.
k = (20,000 x 5) / (13 x 40) = 192.3 W/m K.
The conductivity of metals at atmospheric pressure and around 293 K (20 °C). Wow....this is nice, I love your blog as it is an engineering blog.